Everybody knows how fast Pinterest has grown and how it has become the hottest tech startup of 2012 and in just few months of it’s existence it has managed to hit the 11 million registered users milestone. 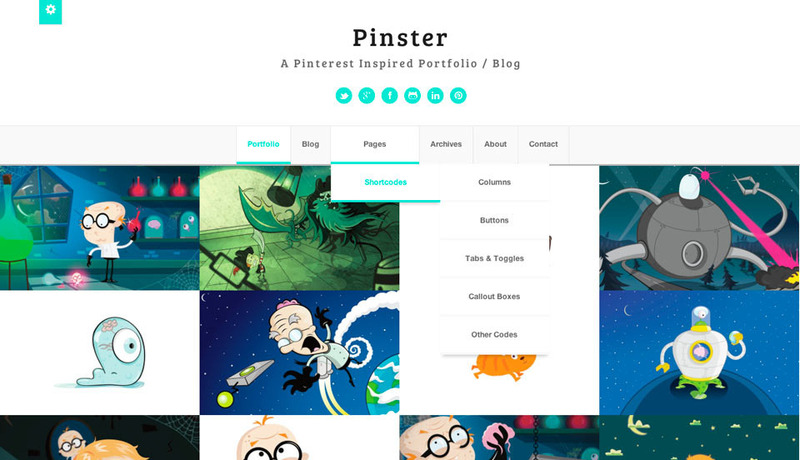 Pinterest style WordPress themes, which you can use on your blog to give a stunning Pinterest like design. This kind of website drives the attention of the audience toward the creative work and makes it easy to showcase top creations. In this article, we are sharing with you a number of premium Pinterest WordPress themes to help you get started with your online portfolio. Beauty, professionalism and style would be best 3 words describing these themes. 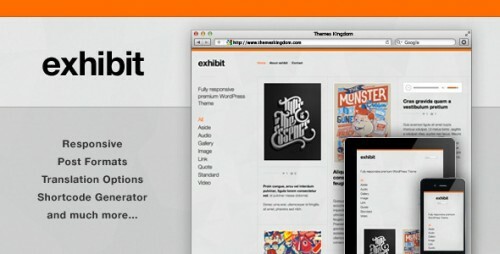 Listed down are 10 WordPress themes which exactly looks like a pinterest template. You may be interested in the following posts: portfolio WP themes, technology WP themes and corporate WP themes. 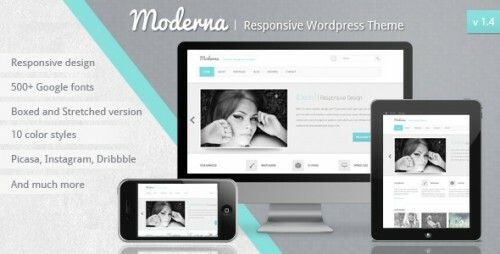 Moderna is responsive and clean WordPress theme which is suited for both professional business sites and creative personal portfolio. 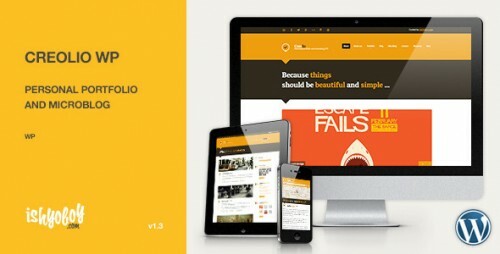 Creolio WP is clean and decent personal portfolio and microblog WordPress theme perfectly suitable for designers / artists / photographers. Commerce WordPress theme is Premium WordPress ecommerce theme with pinterest style that’d be perfect and suitable for your retail and online business store. 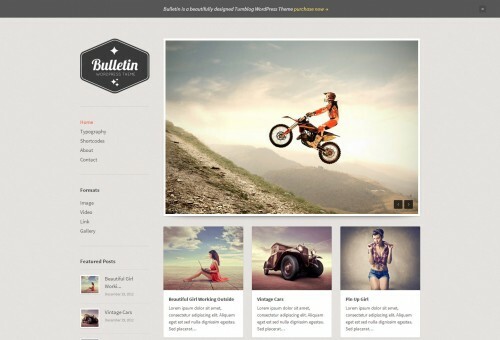 A feature-rich, easy-to-use responsive WordPress theme built on the popular Super Skeleton theme system (with a community of over 10,000 users). 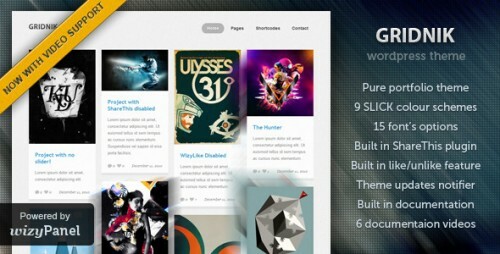 Gridnik is a WordPress Theme for those who dare to be unique! With it’s flexible layout it can be resized to large sized monitors or even to small and narrow screens e.g. Mobile Phones. Exhibit’s clean design elements and a strict grid gives the theme an organized layout that is easy to read and awesome to look at. 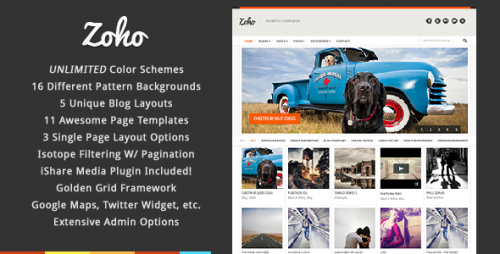 Zoho is an artist’s gallery packed full of options, inspired by a simple, subtle Golden Grid foundation. 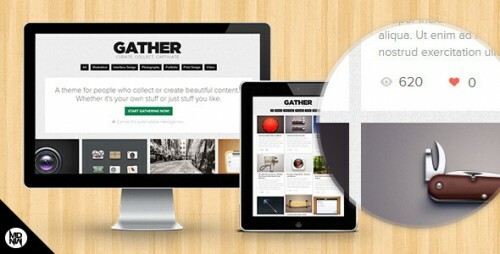 It’s a great way to present your work, or show off your blog or gallery.